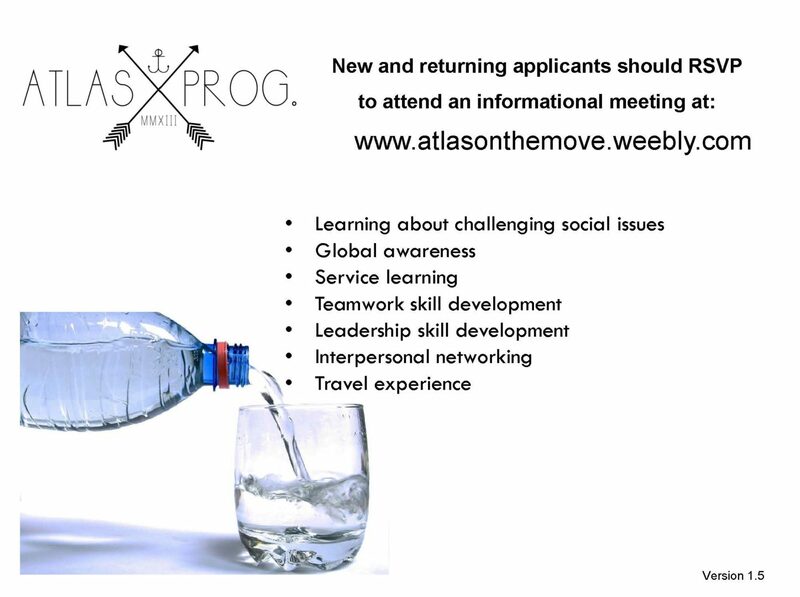 ATLAS Information Meetings – This Week! Check out the flyer below for details, or email Maigon Buckner at mbuckner@davincischools.org. Happy Friday Designers! 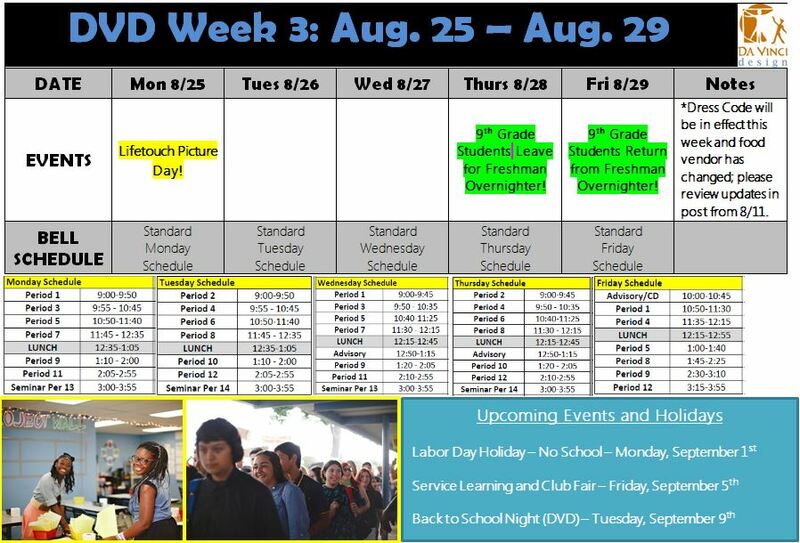 Below you will find your Week 3 update highlighting dates for Picture Day and the Freshman Overnighter. Also, please note that Monday 9/1 is Labor Day and classes will not be in session. Have a wonderful weekend! Designers – here is your chance to get an early start on your service hours! 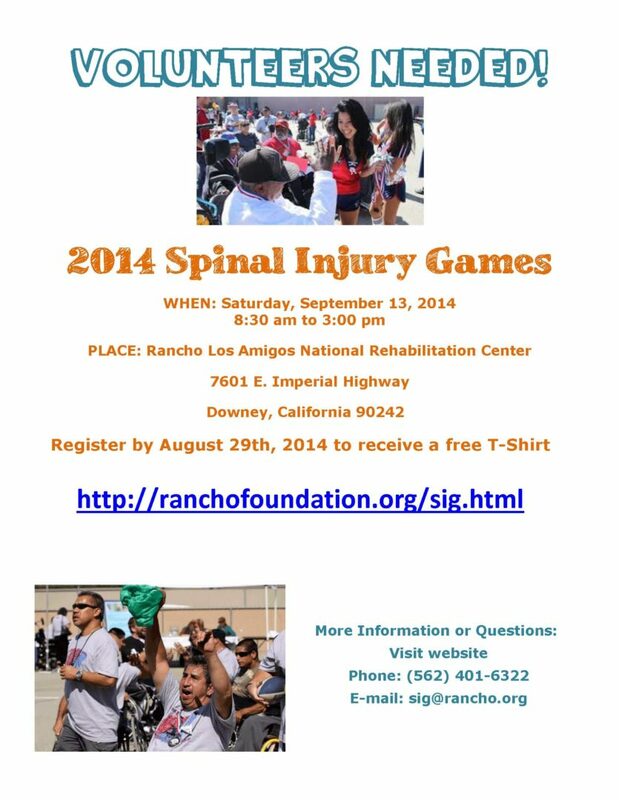 Volunteer at the Spinal Injury Games on Saturday, September 13th. Sign ups are available at the link below in the flyer. Hello Designers! We hope everyone had an amazing first week. Check out what’s happening in week 2 – seminars are starting and our first Community Dialogue has arrived! Seminar Sign Ups Now Available! DVD students – visit the link below to sign up for seminars and view the descriptions! You have until Friday, August 15th to sign up! Please see Ms. Parsons or Ms. Martin with any questions. Hello Design Families! 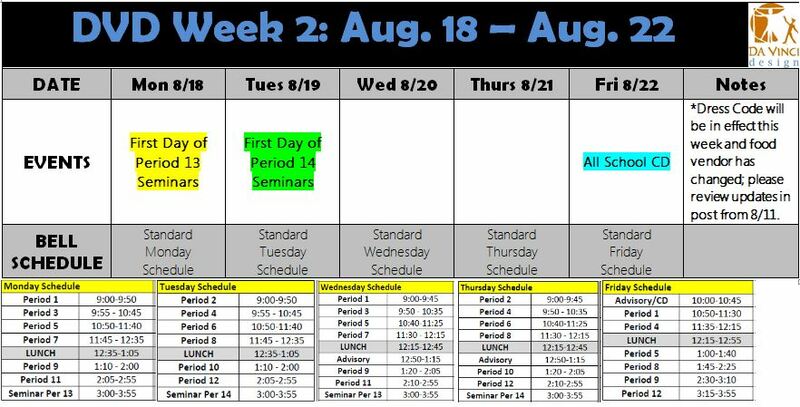 In addition to the last post, here is a more detailed post outlining schedules and events for Week 1 of the 2014-15 school year. We can’t wait to see our returning students, and meet the new ones! Welcome to the 2014-15 DVD school year! We are so excited to welcome everyone to the new school year at Da Vinci Design! Here are a few updates regarding the 2014-15 academic year. 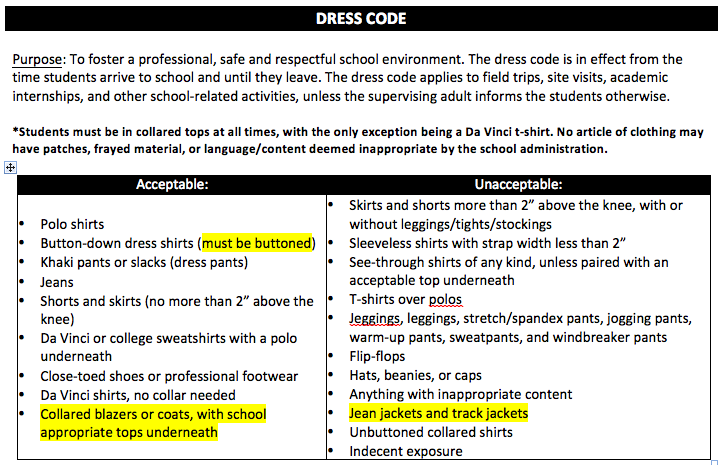 Dress Code: Slight changes from last year’s policy are highlighted in yellow. Dress code checks will begin on the first day of school. If a student is found to be in violation of the dress code policy, he or she will be at risk of having to IMMEDIATELY change into school-issued attire. We have a new lunch vendor this year called Revolution Foods. We are asking that no lunches be dropped off during school hours. Also, students are not able to order delivery food from campus. If you have any questions, please feel free to reach out: (310) 725-5800. 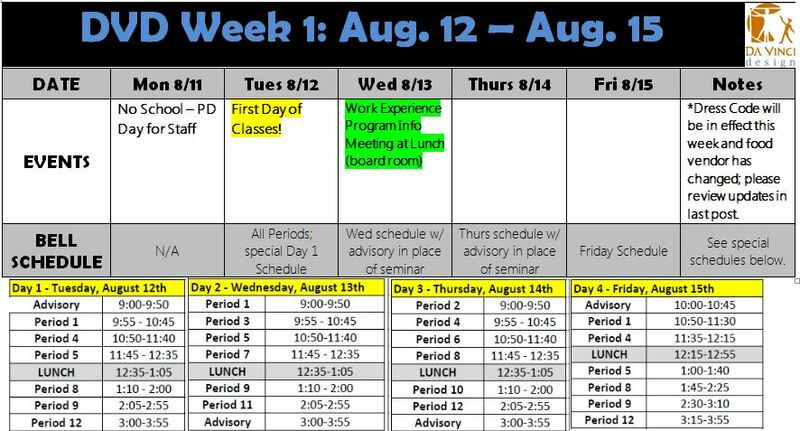 We look forward to seeing your students on Tuesday! Go DVD!